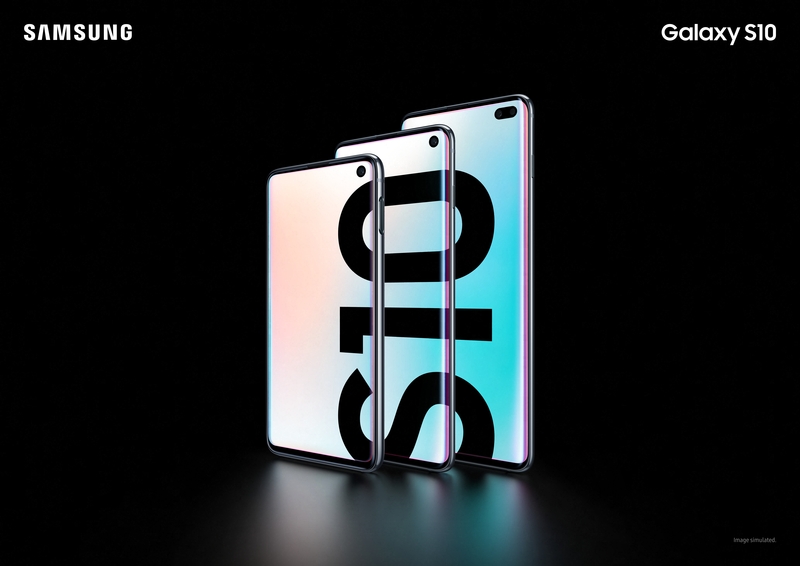 Samsung’s Galaxy S10 series is the culmination of 10 years of innovation and evolution, a point that Samsung rightfully reminds us of when they talk about their new flagship devices. While everyone sits and argues about which smartphone brand is the est, or which OS is the best, it seems easy to forget just how much has changed in the smartphone landscape in the past decade, and just how much of that is because of Samsung. In fact, it’s hard to believe that Samsung’s Galaxy series has been around for ten years because it feels like the brand has always been around, which is a testament to the G=alaxy range’s staying power and ability to remain relevant in the always fickle tech world. 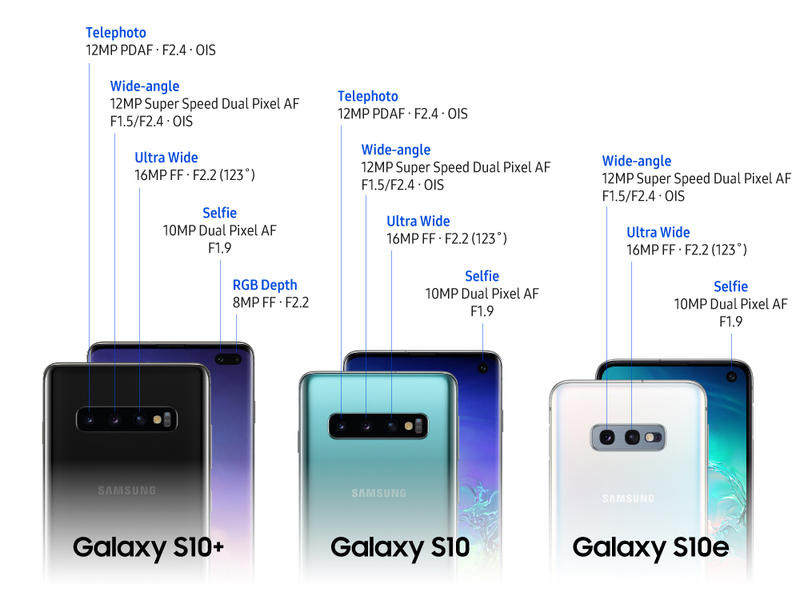 The S10 series brings with it a sense of familiarity which stems from the design; it’s easy to see that is indeed related to the S9 and Note 9, but you can also clearly see the evolution, in fact, the S10 looks like the latest snapshot of someone as they grow up where sometimes the changes are hard to notice until you compare it to older photographs. Yes, there are immediately noticeable differences, but it’s in the subtle, more nuanced changes that the real beauty and growth shine through. Other than the size, the display is one of the most noticeable features of the S10 series, especially the S10+ which is what I’ve been reviewing. While other companies have embraced the notch, Samsung has tried to tactfully avoid it by fitting the S10+ with a double hole-punch display (or a single hole punch in the case of the S10 and S10e). While many feel that this is far more distracting than a notch, I disagree. When I first saw the leaked images of the hole-punch display, I was not a fan, but the images don’t do it justice. When you first start using the S10+, your eye naturally gravitates towards the cutout, because it’s new, however I very quickly stopped noticing or being distracted by it. I handed the phone over to multiple colleagues in the office to find out what their opinion was and without fail, every single one said that the cutout bothered them far less than they’d thought it would. And if it truly does still bother you, you can hide it using software, the same way you can hide a notch on any other Android handset. What you will notice is the glorious display. Boasting a peak luminance of 1215 nits and a relative power efficiency rating of 1.54 watts – which is an improvement on the S9 display – you’ll find that the display is crisper, more vibrant and offers outdoor visibility than before. It’s also the first mobile display to support HDR10+ and has received a coveted ‘Eye Comfort’ certification from world-class German testing and certification body TÜV Rheinland for its built-in blue light filter which reduces harmful blue light by up to 42% more than the S9 and has a record low of only 7% blue light compared to the industry standard of roughly 12%. Speaking of the display, I have to talk about the ultrasonic fingerprint scanner. I want to love it – it’s way easier to reach than the awkward rear placement of Samsung’s past fingerprint scanners – but I don’t. Yes, it can detect your fingerprint when the display is wet, but on a regular day, it doesn’t always unlock on the first try and usually ends up unlocking via face unlock (which no longer includes retina scanning and is less secure). I know that many colleagues and friends have experienced this same issue, however some of them have said that by removing all stored fingerprints and scanning them again, they’ve been able to resolve this issue. I haven’t done this because I feel like I shouldn’t have to. If you’re paying upwards of R19 000, the fingerprint scanner should work without you having to scan, delete and re-scan. I know that this is the first ultrasonic fingerprint scanner on a flagship smartphone, but I also know that Samsung doesn’t release something like this unless it’s market ready, so I’m hoping that this issue will be fixed with future software updates. Don’t get me wrong, it’s not a bad fingerprint scanner – I’ve experienced far worse traditional scanners which should’ve been better because the technology has been around longer – but I’ve also experienced better under display fingerprint scanners on other handsets. While the ultrasonic fingerprint scanner might have left me feeling a tad unimpressed, I’ve always loved Samsung’s displays, but what I haven’t loved in the past is the software experience and battery life. In the past I’ve never comfortably gotten through the day without worrying about whether or not my Samsung’s battery would last and I would usually end up having to plug it in for a quick power boost before heading out to an event, or just heading home after a late night at the office. The S10+ has changed that for me. When I first got the device at the launch event, I was underwhelmed by the battery life in the days that followed, but I was also using pre-release software. Everything changed once Samsung pushed out the official software that would ship on the devices, suddenly my battery life improved and I’ve very comfortably – and consistently – gotten 7 hours (and over) battery life on a daily basis. Now this might not sound like a lot to you, but I’m a heavy power user. I’m constantly on my phone because I run social media accounts and pretty much live online for work. I also have multiple devices connected to it via Bluetooth, all day every day. I’m also constantly making phone calls, checking social media, taking photos and video, responding to mails etc. With every previous phone I’ve reviewed, colleagues who had called themselves power users were amazed by the fact that they would get longer battery life than me because in their minds there was no way that someone could be on their phones more than they were, they were wrong. The S10+ has the same size screen as the Note 9, a much slimmer body and a marginally bigger battery, so I was not expecting to get the battery life that I did. Another area where the S10+ bested the Note 9 is with software. I first installed Samsung’s new One UI on the Note 9 and while I could see the cosmetic changes, I wasn’t blown away. In fact, I ended up agreeing with Gearburn‘s Andy Walker who said that it somehow ended up making the Note 9 seem bigger. When I switched on the S10+, One UI somehow just made more sense and came across as more polished. Gone are the days of TouchWiz and thankfully it’s been replaced by something that’s more thoughtful and sleek and functional. The joy of not having to dig through a million menus is a thrill, but I only wish that the few app duplicates that still remain (like calendar and email) would be removed because I use Google’s versions of those apps instead. Yes, I’ve not included Samsung’s default browser in that category of duplicate apps I don’t need because weirdly I find myself using the Samsung browser more than Chrome or any other. Not only does the Samsung browser have a dark mode, but it’s also more versatile and functional (for me at least). Dark mode – which everyone is raving about in the developer version of Android Q – is not new to select handset manufacturers and is another example of why getting the latest OS version isn’t as huge an issue as it was in the past. Samsung has brought many features to their past software offerings that only years later were included in Google’s Android OS. While Samsung’s dark mode is great, it’s also not perfect because it doesn’t work uniformly across all the apps on the phone, and yes, some of this might be Google’s fault, but there are also instances where dark mode doesn’t carry over to select Samsung apps. Now, this is most likely something that Samsung is looking to fix in future updates, but I’m curious to see how Google handles this issue once Android Q officially rolls out. One area that Google has dominated, is computational photography. The Pixel range – which unfortunately is not available in South Africa – has been hailed as the best smartphone camera on the market. Samsung’s new triple lens setup on the S10+ promises amazing photographs and for the most part, it delivers, but it’s not perfect. Yes, it was awarded a score of 114 for still photography by DxO which ranks it with Huawei’s Mate 20 Pro and P20 Pro, and yes it has a score of 96 for its selfie camera (which beats Huawei’s Mtae 20 Pro and P20 Pro’s ratings of 75 and 72) and in theory it is the best overall camera system on a smartphone, but it has a few minor things to sort out, mainly with lowlight photography. It’s definitely not bad, but it’s not quite what I was hoping for. Unless you’re standing perfectly still and the conditions are just right, the images can contain more noise that I was expecting, and yes, you could say that about pretty much any other device but recently I was at a festival and handed my Mate 20 Pro to a friend who’s a loyal iPhone user and asked her to take a few shots using the device (which she’d never used before). Those images came out with far less noise, better definition and better colour reproduction than the S10+ did. 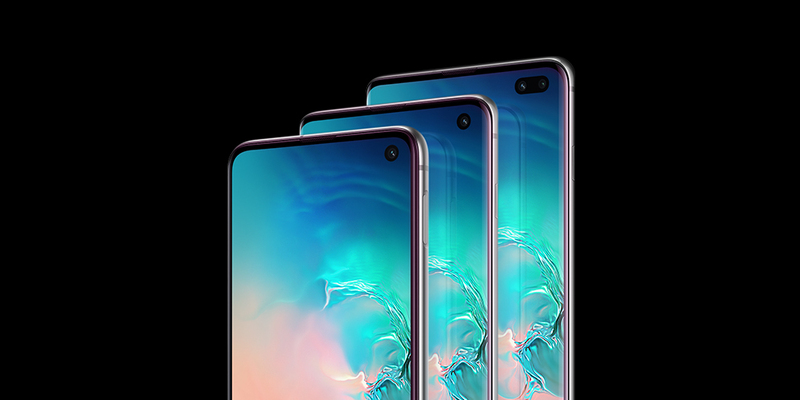 Is it a difference big enough that it would make me hesitate in buying any of the S10 devices? No, but it shows that while Samsung may have once dominated the smartphone photography market, it doesn’t have the tight hold that it once did. This is something that can be rectified with software updates, so it doesn’t leave me feeling too concerned. What does impress me is Samsung’s video stabilisation. It’s pretty damn incredible and I can’t help but wonder why no-one else has ever done something this impressive before. The anti-shake feature needs to be enabled before you begin recording your video and gives you video that’s far more smooth than anything I’ve seen. In fact its only rival is GoPro. When running or cycling or even just jumping (not that I’m recommending you take videos on your expensive phone while doing any of those activities), the anti-shake feature stabilises the video and reduces the shakiness that you’d normally find. It’s an impressive feature that I wish Samsung had made a bigger deal of in their marketing. Another camera feature that I love is the wide-angle lens. Being able to swap between the three lenses is incredibly easy and offers more versatility than previous triple lens setups from other manufacturers. Overall, the S10 series are the best phones you can buy right now and they’re the best phones Samsung has ever made — which is not something I say lightly. The inclusion of a 3.5mm headphone jack, dual speakers, wireless powershare, IP 68 rating (on the S10 and S10+), great camera setup, great battery, and incredible display make it the phone to beat. It might seem like I’ve had a few quibbles with the S10+ but no phone is perfect, and any minor issues or concerns I’ve had can be rectified by software fixes. Overall, Samsung has taken the best of what they do, somehow made it even better and then packed all of that into one device. 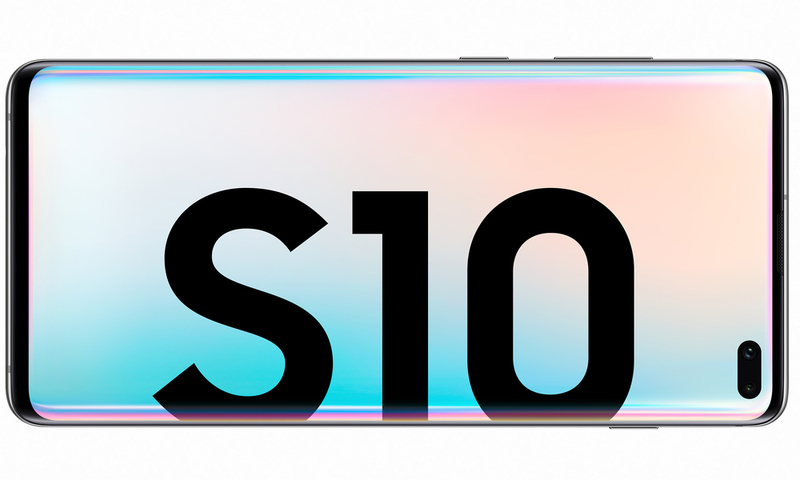 If you feel that the size or the pricepoint of the S10+ is not quite for you, then it’s worth taking a look at the S10 or S10e. The S10+ is a picture perfect model of what a truly great phone should be and I’d buy one in a heartbeat. 4,100mAh (typical) Fast Charging compatible on wired and wireless Improved wireless charging speeds with Fast Wireless Charging 2.0 Wireless PowerShare 2 *Wired charging compatible with QC2.0 and AFC *Wireless Charging compatible with WPC and PMA *May differ by market and mobile operator. Enhanced 4×4 MIMO, Up to 7CA, LAA, LTE Cat.20 – 2.0Gbps download, 150Mbps Upload *May differ by market and mobile operator. Wi-Fi 802.11 a/b/g/n/ac/ax (2.4/5GHz), VHT80 MU-MIMO, 1024QAM – 1.2Gbps Download / 1.2Gbps Upload *May differ by market and mobile operator. Bluetooth ® v 5.0, ANT+, USB Type-C, NFC, Location (GPS, Galileo*, Glonass, BeiDou*) *Galileo and BeiDou coverage may be limited.